Warner Bros. Entertainment is taking full control of gaming-focused multichannel network Machinima. The Burbank-based studio led an US$18 million funding round in Machinima in 2014, and has been consistently linked with a full takeover since then. It has now signed an agreement. Past investors include Redpoint Ventures, MK Capital, former chairman and CEO Allan Debevoise. Machinima will now become part of the new Warner Bros. Digital Networks unit that Warner Bros. Television Group president, business and strategy Craig Hunegs runs. “Machinima is a strong gamer and fandom content and social brand with enormous reach and high engagement with audiences that play our games and are big fans of DC films and television shows,” said Hunegs. Warner created Warner Bros. Digital Networks in June, with Hunegs tapped to lead it as president, while keeping his existing role. WBDN houses Korean-focused on-demand service DramaFever, SVOD platform Warner Archive Instant, and investments in LeBron James venture Uninterrupted; and Ellen Digital Ventures, the new Ellen DeGeneres digital networks group that launched recently. Since Warner Bros. first invested, Machinima has diversified its business from a purely YouTube-focused MCN to a broader programme creator and distributor through agreements with the likes of Playstation Vue, Amazon Prime, Go90, Sohu and The CW broadcast network. 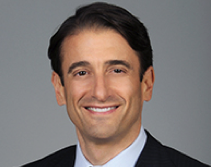 Chad Gutstein replaced founder Debevoise a month after Warner became an investor to oversee the changes. Yesterday, he said: “Since making their first investment in Machinima in 2014, Warner Bros. has been an active business partner in our transformation, so we already have proof points as to how the companies can work together to accelerate Machinima’s growth plans.